Toramaru is like the Anthony Bourdain of martial arts. Before challenging a rival, he first eats what they eat. There is some wisdom to that approach, but there is considerably more mayhem to be found in Takanori Tsujimoto’s Bushido Man (trailer here), which screens tomorrow during the 2013 Fantasia International Film Festival. Gensai, the sensei of the Cosmic Way school of holistic martial arts, has sent his number one student forth into the world to challenge seven specialized masters and hopefully claim their ancient scrolls of secret wisdom. Things must have gone relatively well, since Toramaru has returned to tell his tales to his appreciative teacher. Based on the details of his prep meal, Gensai is able to guess the identity of the master to be challenged. While Bushido probably cost less to produce than dinner for one at Nobu, action director Kensuke Sonomura stages some epic mano-a-mano showdowns. Sonomura himself starts things off briskly as Yuan Jian, the Chinese kung fu master and Kazuki Tsujimoto makes quite a memorable Zatōichi surrogate as the blind swordsman Muso. Yet, the honor-stoked adrenaline reaches its purest, highest point when Masanori Mimoto appears as Eiji Mimoto, the Yakuza dagger master. To his credit, Tsujimoto also has a good sense of fair play, allowing Miki Mizuno to rack up an impressive body count as the pragmatic arms-dealing femme fatale, M.
Bushido is all about fighting, periodically taking timeout for some goofball humor. If you’re looking for narrative logic here, just don’t. In one scene, Toramaru strolls through the sunny streets of contemporary Tokyo, yet the next moment he is trudging through the scarred wasteland of a post-apocalyptic Yokohama. It does really matter though. Everything in Bushido is there to facilitate the food and fighting. 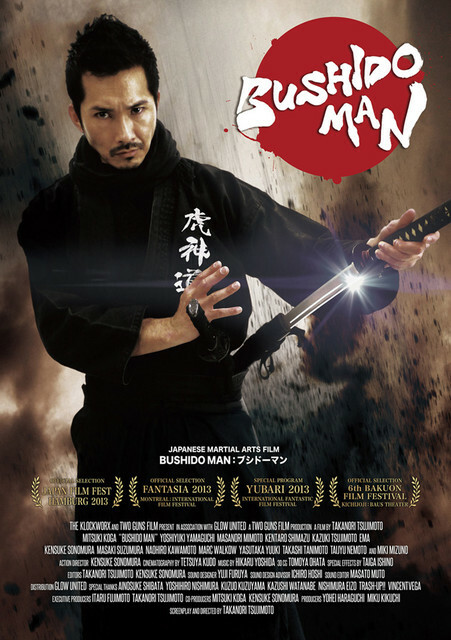 Held together by Mitsuki Koga’s action cred and straight man persona, Bushido Man delivers the goods for martial arts-samurai-yakuza movie fans. 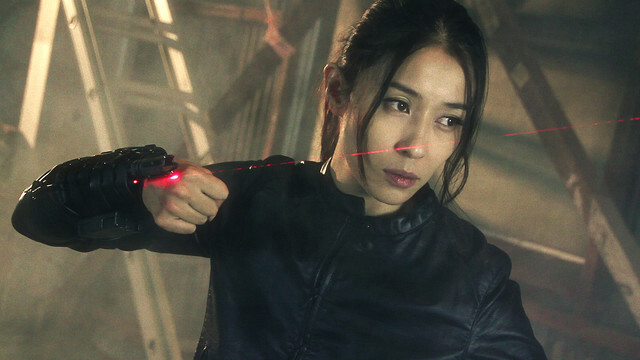 It nicely demonstrates how a scrappy low budget action production can overcome its budget constraints with energy and a clever concept. Recommended for established genre fans, it screens tomorrow (7/27) at the Imperial Theatre as part of this year’s Fantasia Festival in Montreal.